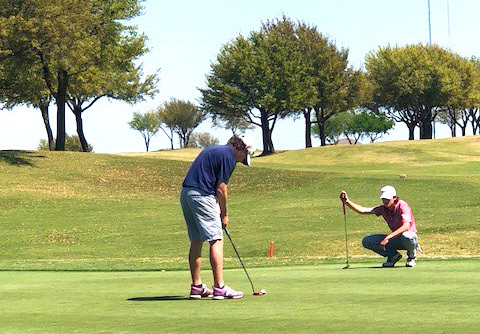 On Tuesday, March 26, the Golf Team battled Hyde Park in a double playoff round in the Savio Eagle classic Golf tournament. Brandon Brown took first place in the boy's division for winning 75 points. In the Girls division, Vera Yi took home first place for a total of 77 points! 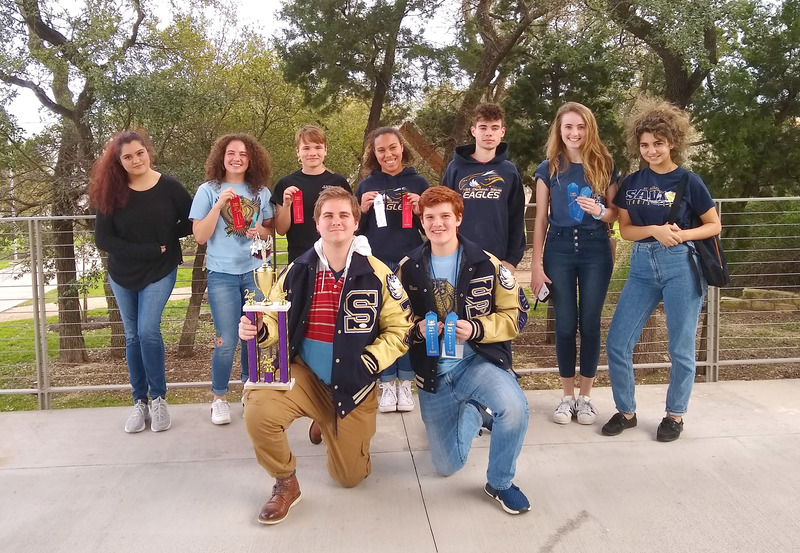 Congrats to the Savio Eagles Golf Team for their winnings! 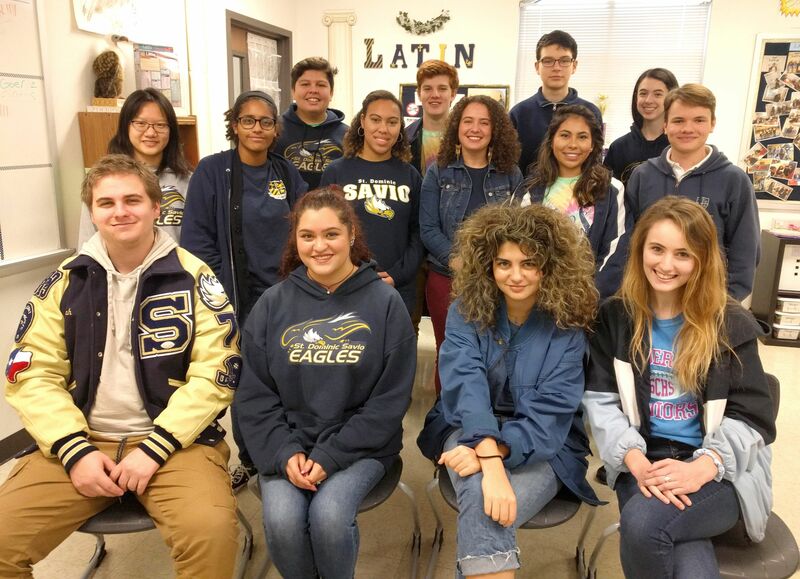 On Saturday, February 23rd, 16 Savio Latin Club students participated in the TSJCL Area Convention, a competition for Latin students throughout the Austin area. Our team of students placed 2nd overall in their division! Several students also received awards for their individual competitions. Finally, all 15 of the students who participated in the Pentathlon contest were recognized for their scores. Congratulationes, Discipuli! 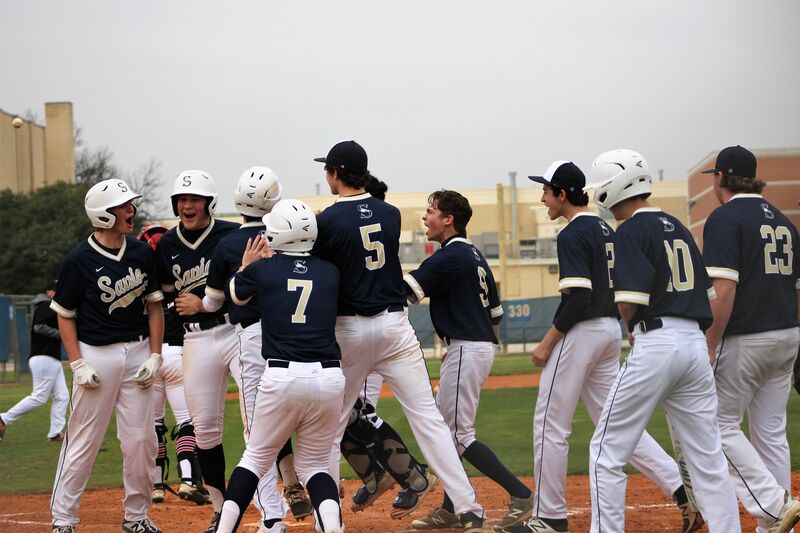 During the San Antonio Tournament a few weeks ago, the baseball team had an impressive victory. 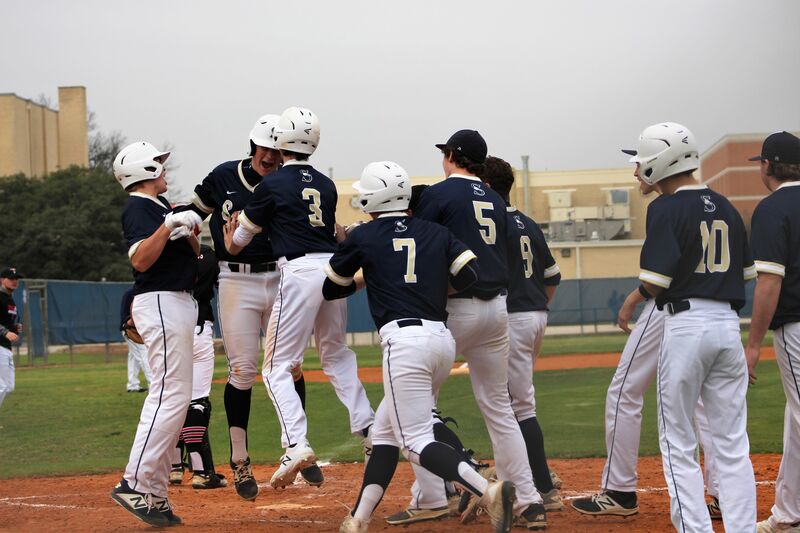 Senior, Matthew Rabaey hit a grand slam, which is a home run hit with all three bases occupied by baserunners. It was quite an accomplishment and an exciting game for the Eagles! 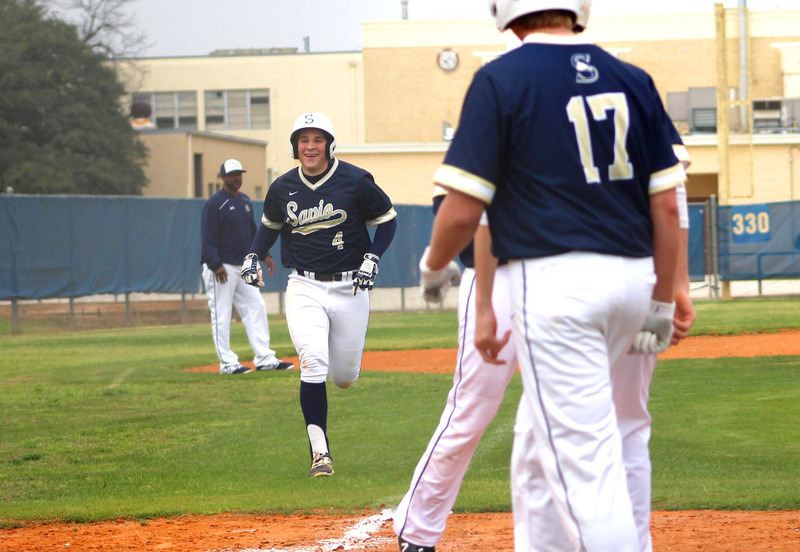 Junior, Matt DiTeresa was solid on the pitching mound, and the team had an impressive victory 15-6 over Wagner in San Antonio. The 6th Annual Cuts for Cancer event on Friday, February 22, 2019, was a success! 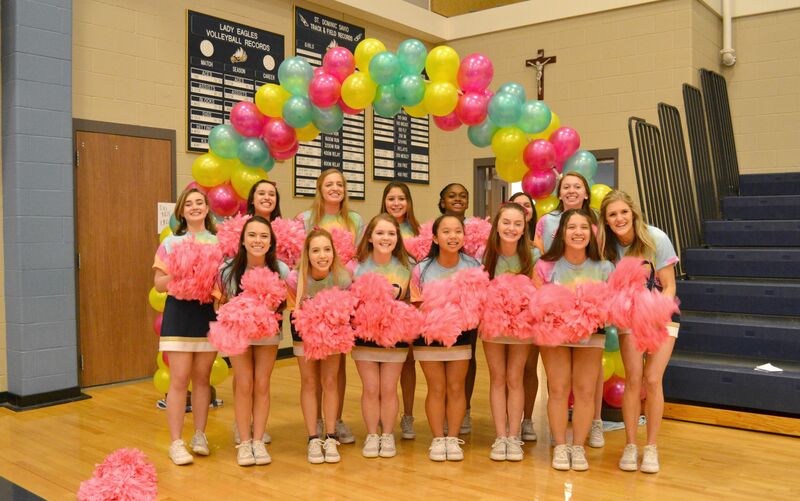 St. Dominic Savio received a total of 163 ponytails that included the community, faculty, and students combined! 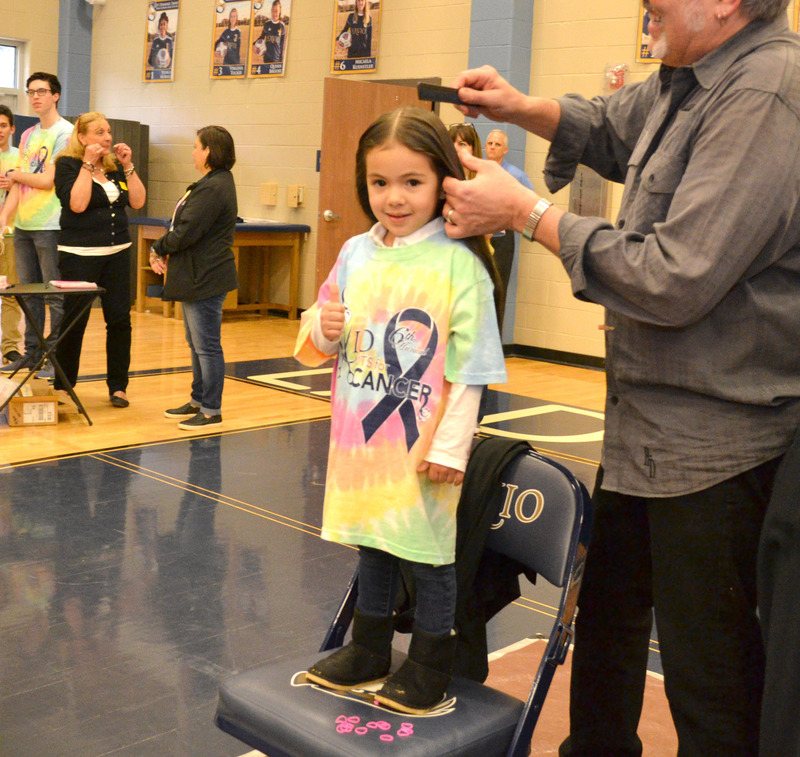 All 163 ponytails were donated to Children With Hair Loss, an organization that provides human hair replacements at no cost to children and young adults facing medically-related hair loss. Read more on the Children with Hair Loss Website. waits for her hair to be cut. A total of $2007 was donated at the event to be given to St. Jude Children’s Research Hospital to help fund childhood cancer research. The youngest ponytail donor this year was just four years old. This year, there were two people that shared how cancer has impacted their lives. We especially thank the speakers, Mr. Frank Alvarez, and Ms. Josie Kleypas. Dr. Garcia read the Proclamation from the Mayor from the City of Austin, Steve Adler. Whereas This year’s event honors those who have been affected by breast cancer; young and aged, living or passed; They are real everyday heroes. 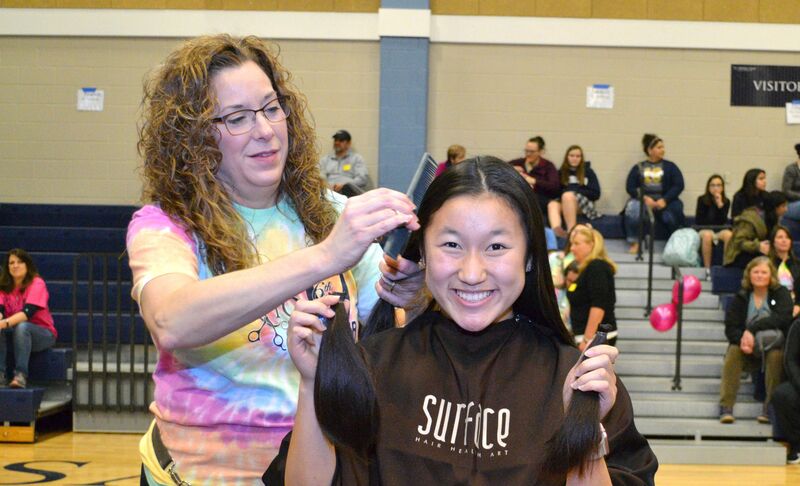 donating hair, buying shirts, and volunteering to make the event possible, truly reveals the heart of the Savio community. Every year the event brings awareness and unity around the topic of cancer. 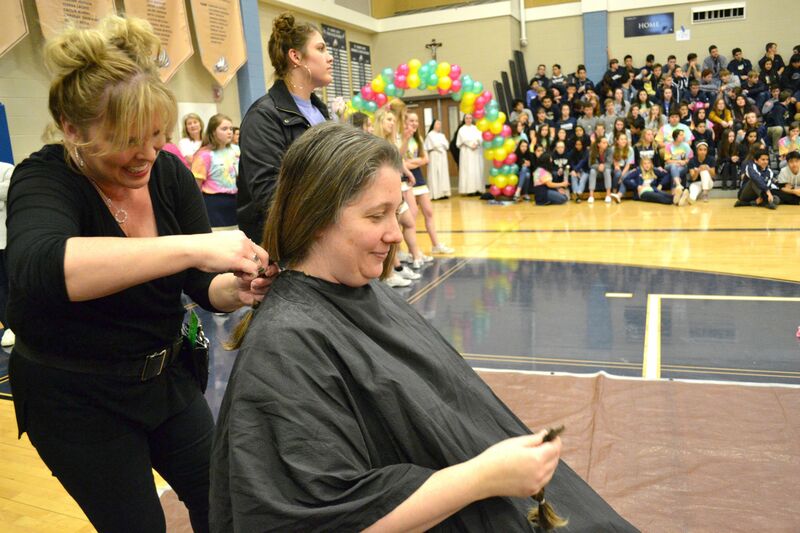 Over the last six years of hosting Cuts for Cancer, a total of 590 ponytails have been donated from our community students and staff combined. The grand total that the school has donated to St Jude's Research Hospital is well over $10,000. We look forward to hosting the 7th Annual Cuts for Cancer next February 2020 and we encourage all females to make a commitment to grow their hair to meet the minimum 8-inch benchmark needed to donate! How did Cuts for Cancer begin at Savio? 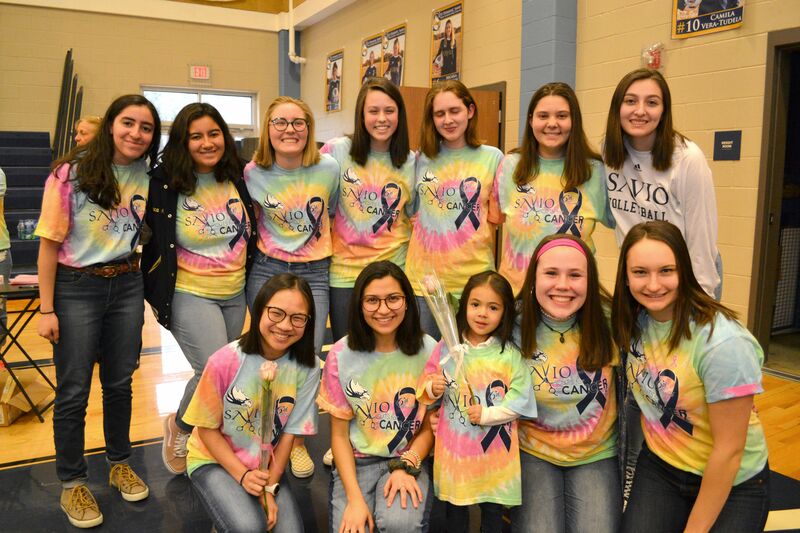 The Savio Cuts for Cancer was started six years ago by a Savio Class of 2014 Alumna, Brooke Ellis, to honor the mother of her best friend, Ms. Thea Williams. 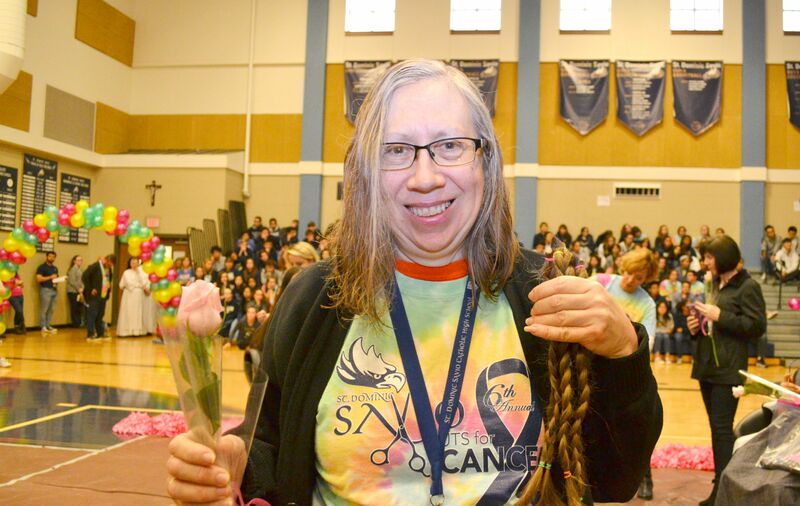 Savio honored the memory of Ms. Thea Williams during the 5th annual Cuts for Cancer event last year. Learn More History. The legacy of love and devotion Thea Williams had to her family and friends will be forever cherished, especially by her two children, Khari and Amira. Thea attended Catholic schools and graduated from Highlands High School. Her love for journalism blossomed at a young age and she eventually went on to obtain a Bachelor of Journalism degree from the University of Texas at Austin. She later attended Northwestern University's Medill School, obtaining a Master of Science in Journalism. Thea spent the bulk of her career at KVUE-TV in Austin, Texas. She was a member of Alpha Kappa Alpha Sorority, Inc., Jack & Jill of America, Inc., the National Association of Black Journalists, and an active member of Holy Cross Catholic Church. Thea was a talented and accomplished journalist and was widely respected for her high standards and great compassion. However, Thea relished in the joy of being a mother and considered her role as Mom her greatest accomplishment. Thea was a strong believer in education and she worked tirelessly to ensure that her children, and others' children, received the best education possible through her work as an educator, journalist, and mentor. Thea was gregarious and fun-loving, and "to know her was to love her." She was a devoted mother, a beloved daughter, a loving sister, a favorite niece, and a special friend to many. She will always be remembered for her unwavering faith in God, her smile, and her robust laughter. On September 29, 2010, after a courageous battle with cancer, Thea's journey on this earth came to an end and she went on to begin her new life with her Heavenly Father.